Welcome the spirit of the wolf into your home with our wolf statues and collectibles. We offer a wide variety of wolf products here in quite a range of styles. Here you will find werewolf statues as well as wolf and fairy statues, displaying the dichotomy of this both beloved and feared beast. Our wolf statues are made of fine materials, like high quality cast resin and cast bronze, and many are painted or accented by hand. Also shop here for all of our wolf home decor pieces, ranging from wolf bookends and staplers to accent your desk as well as wolf trinket boxes, fantasy wolf art prints, wolf wall clocks, and wolf spirit boards to bring personal style to your home. For all things featuring wolves, from fantasy styled to ferocious, be sure to browse through our selection here. With the power of the sun by day and the moon by night, this witch casts her enchantments with the wisdom offered by the movements of the planets and stars. The Celestial Witch with Wolf Statue shows her with staff and crystal ball. Sometimes, all you need is a bit of inspiration to make your writing better than it has ever been. 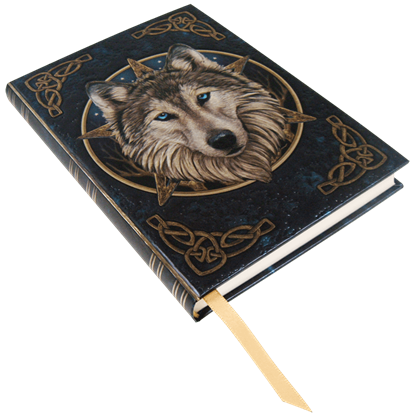 Let the nobility and power of one of the animal kingdoms most beloved creatures encourage as you write in this Celtic Wolf Journal. A notebook is a handy thing to have around the house. 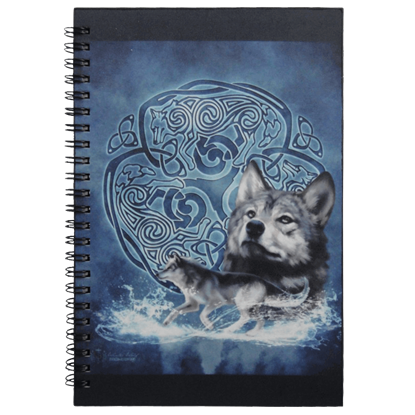 Not only is it a great place to jot down thoughts and lists, but this Celtic Wolf Notebook might promote creativity and spark your interest in writing, drawing, and more! This box is more than just a nice storage container to have sitting about. 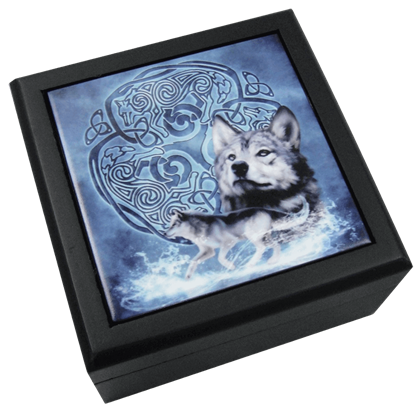 The Celtic Wolf Tile Box Tile Box takes the artistic styling of Brigid Ashwood and transforms it into something that is as appealing as it is useful. The myth of the werewolf is terrifying enough on its own, but give him a weapon and he could quite possibly be the most sinister beast you have ever seen! 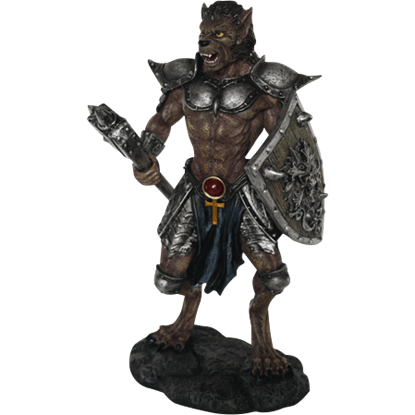 This Dark Werewolf Warrior Statue depicts this creature in an eye-catching way. Resting momentarily on the mossy earth, the Elf Maiden and Wolf Statue makes a lovely addition to any fantasy collection. As immortal beings aligned with the natural world, elves are able to calm fierce predators like this wolf. The full moon expresses a special pull on wolves. 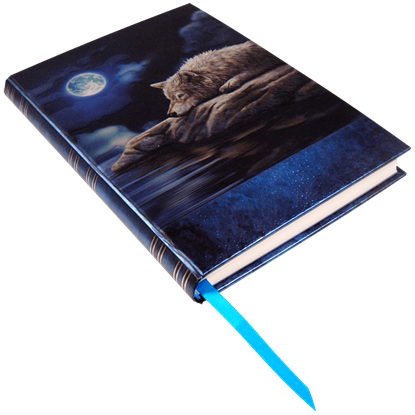 The Embossed Quiet Reflection Notebook depicts a moment of solitude in which a wolf rests on rocks at the waterside under the moon that shines through the clouds. Wolves symbolize free will, unity, and loyalty. 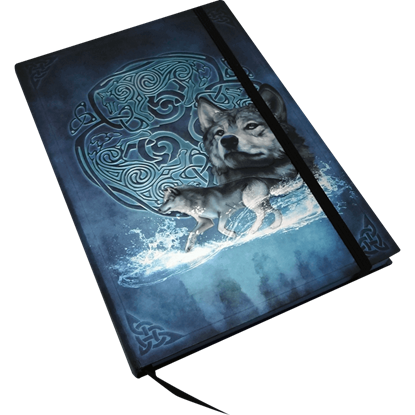 Serving as the focal point of the Embossed Wild One Notebook, a wolf stares out from a series of points and a starry background, while Celtic knots frame each corner of the journal. When it comes to the call of the wild, no scene is more iconic than the wolf howling to the moon. 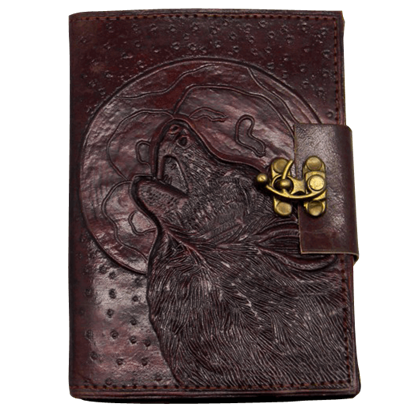 This Embossed Wolf Moon Leather Journal with Lock immortalizes that design in leather as a notebook for any to use and enjoy. The wolf gathers itself and leaps across the icy stream, landing in a spray of white on the other side. Its fairy companion rides lightly on its back. 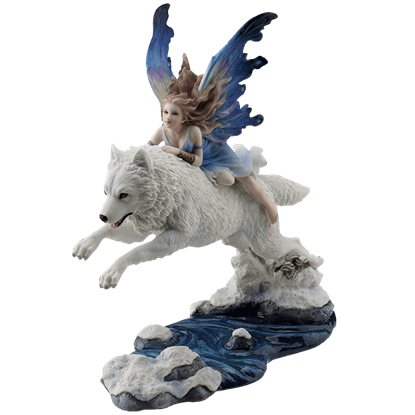 The moment is captured in this Fairy Riding on Leaping Arctic Wolf Statue. Not all fairies are content to frolic among flowers and gentle woodland creatures with careless ease. 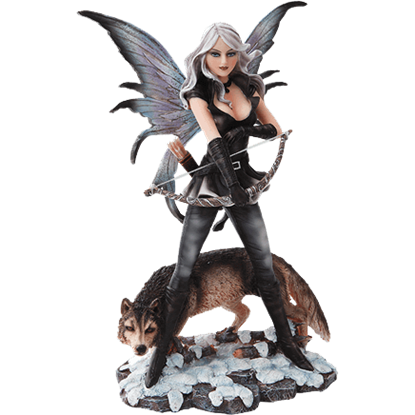 The Fairy with Wolf Statue depicts a fairy huntress dressed in black with a wolf circling the snowy ground at her feet. 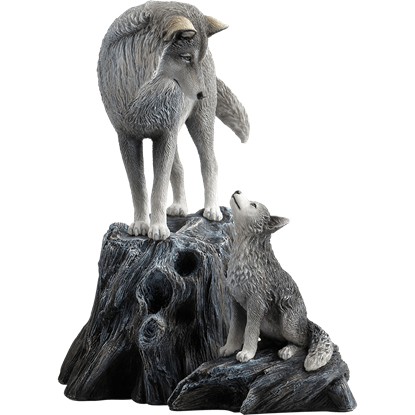 The Guidance Wolf Statue shows a beautiful interaction between parent wolf and pup. Made of high quality polystone with an incredible level of detail, this hand painted wolf statue is based on the work of wildlife artist Lisa Parker.